This fresh North Canterbury winemaker has values of empowerment and social justice at the forefront of their operations. 27Seconds give 100% of their profits to organisations that advocate for freedom from slavery and support the survivors who make it through. The name comes from the statistic that a vulnerable person is either sold or trafficked into slavery every 27 seconds. Delicious wine going to a fantastic cause. Located in the beautiful alpine region of Central Otago in the South Island, Akarua was established in 1996 amongst a small band of pioneering vineyards. With estates in the ‘Grand Cru’ of Bannockburn – in Felton Rd and Cairnmuir Rd – and the Pisa subregion including a certified organic block; Akarua has enviable and diverse terroir from which to draw. The Maori translation of Ataahua is beautiful, picturesque, a place of beauty – so appropriate to the valley, the vineyard and the wines alike. Ataahua Wine’s philosophy is to translate and express the beauty of the vineyard and area into wines that people can absolutely enjoy. These wines are hand crafted with the utmost care from the vine to the bottled fine wine! Black Estate is family owned, with three organic & biodynamic vineyards on clay – limestone soils in North Canterbury. They’re set on making wines true to the place they grow. The winemaking is simple – healthy estate grown fruit, hand picked, vineyard derived yeasts, no additives or fining, minimal sulphur (often none) and not much filtering. Through stringent dedication to the winemaking process, they produce wines with unrivalled character and feature Biogro 5202 certification. Pioneers, brave, fighters. These are words used to describe the founders of Black Ridge, one of the Southernmost vineyards in the world and the oldest in Central Otago. 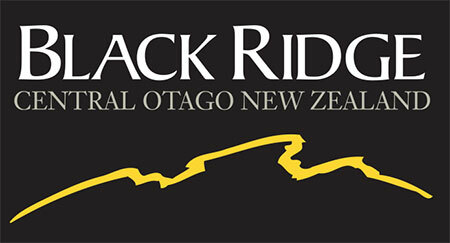 Now with almost 40 years’ vine age and experience, Black Ridge Vineyard produce wines with a sense of place which are hand-crafted from the schist hills overlooking Alexandra Basin. CharRees Vineyard is a family owned vineyard just South of Ashburton on State Highway 1. Charlie and the team invite you to come and taste their rich mid-Canterbury wines which are produced from selectively hand-harvested grapes for optimum flavour. Domain Road Vineyard produces a range of wines from two vineyards in Bannockburn, Central Otago. As a family owned and run business it is dedicated to an artisanal approach to producing wine. This attention to detail has decorated the vineyard with a string of awards for its wines. There are 9 different wines from grapes grown exclusively on their own vineyards. Dunstan Road is a boutique 2-hectare vineyard and winery situated in the Alexandra Basin, Central Otago. The vines and wines are hand- crafted with minimal machine or chemical input ensuring a personal touch flows through each bottle. Georges Road Wines produces a range of handcrafted, single-vineyard wines from the heart of the Waipara Valley wines. A festival-regular, Georges Road return this year with show-stopping examples of their Pinot Gris, Syrah, Riesling, Rosé and Pinot Noir varietals. Perched on Waipara’s limestone hills, Greystone Wines is an organic winery committed to producing beautiful wine which honours the land it’s grown on. Greystone is home to New Zealand’s 2018 Winemaker of the Year, Dom Maxwell, and some of New Zealand’s most internationally-acclaimed wines: Pinot Noir, Chardonnay, Barrel Fermented Sauvignon Blanc, Pinot Gris and Riesling. Elegant. Sensuous. Intimate. A romance not a blockbuster, feminine not masculine, balance not power, family not corporate, love not lust. Multi award winning winemaker Judge Rock boasts gold medals from Decanter, International Wines and Spirits Challenge and the Air New Zealand Wine awards. They’ve snagged double trophies for Best Pinot Noir and Best Red Wine from the Australian & New Zealand Boutique Wine Show. Described by many as the Higgs Boson of Pinot Noir, Judge Rock’s incredible success belies their modest size. Wine made with passion using non-interventionist methods – wine that truly reflects a sense of time and place. Situated in the stunning Gibbston Valley, Central Otago; Kalex Wines focus on producing exceptional wine. Lone Goat, based in Burnham 20 minutes south of Christchurch, is producing internationally recognised wines for you to enjoy in NZ. Boutique wines for everyday people! Main Divide is the local name for the Southern Alps that form the backbone of the South Island. Wines for Main Divide are sourced from selected growers around North Canterbury chosen for their ability to express unique regional and varietal characters. The wines are made by the Donaldson family at their Waipara Valley winery. Innovative and distinctive wines, grown and made onsite at a stunning riverside vineyard near Wanaka in Central Otago. Environmentally-thoughtful viticulture and artisanal winemaking are used to produce a wide range of iconic wines including Gold Digger, an encapsulating Sparkling Pinot Gris and you simply can’t look past the Maori Point Wines’ award winning Pinot Noir. With their keen eye honed solely to the tune of the Pinot Noir varietal, it’s no wonder McArthur Ridge is quickly becoming known for their hand-crafted vintages. Pouring since the 2006 vintage, McArthur Ridge limits its’ winemaker to only the finest hand-picked grapes, producing impeccable expressions of the Central Otago region. Melton Estate is just 20 minutes West of the Christchurch City Centre in the suburb of West Melton. Operating from their beautiful winery and events venue, Melton Estate are a regular feature in the homes of many Cantabrians. Their biggest hit is not to be missed – the true taste of Summer is encapsulated in their Summer Love Sparkling. Two couples, two Winemakers, two Paramedics and two sisters making wine out of North Canterbury and getting up to a bit Mischief along the way. Intrigued? You should be. Mount Brown Estates is a family owned winery from North Canterbury producing stunning Pinot Noir and aromatic wines from its three vineyards. Mount Michael Wines specialise in making premium, small batch Pinot Noir’s, Pinot Gris and Pinot Rose. Using single vineyard fruit from the Lowburn, Bendigo and Gibbston sub regions, our wines are expressive of the land they come from and are treasured by all who know them. Mt. Beautiful wines are not only different from most New Zealand wines by way of their North Canterbury location, but they are also different in style. The wine style captures the essence of New Zealand while embracing a more restrained approach, with harmony and balance. Pegasus Bay is owned and operated by the Donaldson family who were pioneers of the local wine industry. Often referred to as the leading producer of fine wine in the region, Pegasus Bay produces complex and full flavoured wines with character from their home vineyard which is now more than 30 years old. Peregrine is a privately owned, Central Otago winery dedicated to the production of premium Pinot Noir and a range of aromatic whites. Organic farming is fundamental to every level of viticulture, with a holistic approach that integrates crop and livestock farming. Peregrine Wines is named in honour of New Zealand’s endemic falcon, a bird without rival or fear. 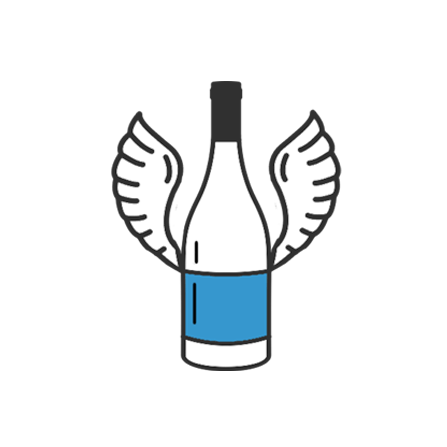 Silver Wing Wines are one of the first New Zealand producers of natural wines without preservatives or chemical additions. Silver Wing have been designing wines from vines of distinguished 20-year maturity and working almost exclusively with barrels. Unfiltered, unfined, without sulphite additions, the flavours in these wines are a pure expression of North Canterbury terrior, its river gravels, clay and limestone slopes. Straight 8 Estate a unique vine to bottle vineyard situated in Central Canterbury producing a select range of single vineyard wines. Straight 8 Estates dedication to good vineyard management delivers seriously drinkable wines for many to enjoy. Like all who come here, the Lloyd Family fell in love with the other-worldly beauty of Central Otago – the land and the lifestyle. Their name, Te Kano is Maori for seed. It reflects our commitment to the rejuvenation of the land they call home. Te Kano wines are a sensory experience that really couldn’t come from anywhere else. Terrace Edge is a family-owned premium producer of organic wines in North Canterbury, recently awarded NZ Organic Vineyard of the Year. They will be showcasing their range of wines which includes Albarino, Syrah & St Laurent. Taste the dramatic landscape, captured in liquid form. Old vines growing through multi-terraced river gravels – winding through an ancient landscape of creatures & peoples. Hand-grown handmade wines from folk in love with this spectacular powerful terrain & terroir. Exposed to many micro-climates, crafting many varietals, The Boneline share with you their diverse collection of sensational wines this December! The Crater Rim is a family owned boutique winery creating high quality, site-specific wines of individual character and drinkability, with its own vineyards situated in both the Omihi Hills and Waipara, North Canterbury, New Zealand. Winemaker Simon McGeorge and his wife Olive Hill are the creative force behind Waipara brand The Winemaker’s Wife. Their approach to winemaking combines their love of classic varieties with new world wine making techniques. The result is a range of quality wines, crafted for the taste conscious. The Tiki whanau are an indigenous New Zealand wine producer committed to sustainable winegrowing with an uncompromising commitment to quality. We care for our vines under the guiding Maori principles of Kaitiakitanga: guardianship, protection and preservation of the earth. Our focus is on ensuring that we put more back into the land than what we take. Tiki are farmers at heart, nurturing the elements that make their grapes unique. Tiki Wines are truly the Taonga (Treasure) of New Zealand. Torlesse produces 100% Estate grown wines from Waipara. They’re known for their diverse whites, Pinot Noir and a 10-year old Tawny. Established in 1991, Torlesse are one of the oldest Wineries in Waipara. TOSQ is passionately committed to organic farming, producing wines with interest and individuality from their BioGro certified vineyards situated in the Pisa sub-region of Central Otago. Of special interest is an orange/amber wine they make from Flora, a rare grape variety that is a cross between Semillon and Gewürztraminer. The Wet Jacket brand is a unique concept reverencing the history of farming in Central Otago and the early European history of New Zealand while celebrating the modern wine industry of today.